DENVER, Colo. – February 4, 2015 – Outdoor Channel is once again the presenting sponsor of the National Rifle Association’s (NRA) Great American Outdoor Show, taking place in Harrisburg, Pennsylvania from Saturday, February 7th through Sunday, February 15th. The Great American Outdoor Show celebrates the outdoor activities treasured by millions of Americans and their families, and is expected to feature nearly 1,000 exhibitors, including hunting, fishing, shooting and archery retailers, manufacturers, outfitters and much more. Building off of their previously announced strategic partnership, Outdoor Channel and the NRA continue to collaborate on ways to appeal to passionate consumers who are looking to celebrate the time-honored traditions of the outdoors, as well as generate excitement for the future of the space. Outdoor Channel features action-packed adventure, hunting, fishing and shooting sports programming starring some of the biggest celebrities in the industry. As presenting sponsor of the event for the second consecutive year, Outdoor Channel will provide attendees with unmatched access to its leading outdoor entertainment brand. An assortment of some the network’s most popular talent will be present at the Great American Outdoor Show to meet and greet fans at the Outdoor Channel Booth #463. In addition, there will be daily giveaways and photo booth fun. In addition, Ralph and Vicki Cianciarulo, “The Choice with Ralph & Vicki” and “Archer's Choice”; Abner Druckenmiller and Al Morris, “FOXPRO Furtakers”; David Blanton, “Realtree Outdoors”; Hank Parker, “Hank Parker’s Outdoor Magazine”; and Joe Thomas, “Stihl’s Reel In The Outdoors” and “Ultimate Match Fishing” are among the network’s top-rated outdoor celebrities that will also be present at the event – either at sponsor appearances or seminars. Outdoor Channel wants to know: What Gets You Outdoors? Great American Outdoor Show attendees can jump in front of the “What Gets You Outdoors?” green screen and have their picture taken with digitally imposed talent and scenes from the network’s programming. Outdoor Channel will email and/or text the photo, allowing attendees to post the image with the hashtag #whatgetsyououtdoors on social platforms of their choice, such as Twitter, Facebook and Instagram. Swing by the Outdoor Channel booth for daily giveaways, such as hand warmers, ear plugs and pens! The 2015 Great American Outdoor Show runs from February 7-15 at the Pennsylvania Farm Show Complex in Harrisburg, Pennsylvania. Attendees can also download the Great American Outdoor Show mobile app to get information on exhibitors, conference sessions and special events. To download the app, visit //gaos.nra.org/landing/. 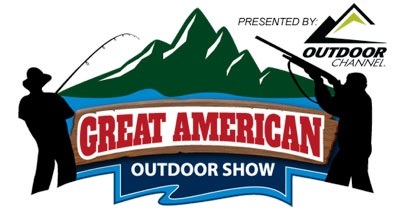 For complete information on the event, visit //www.greatamericanoutdoorshow.org/.